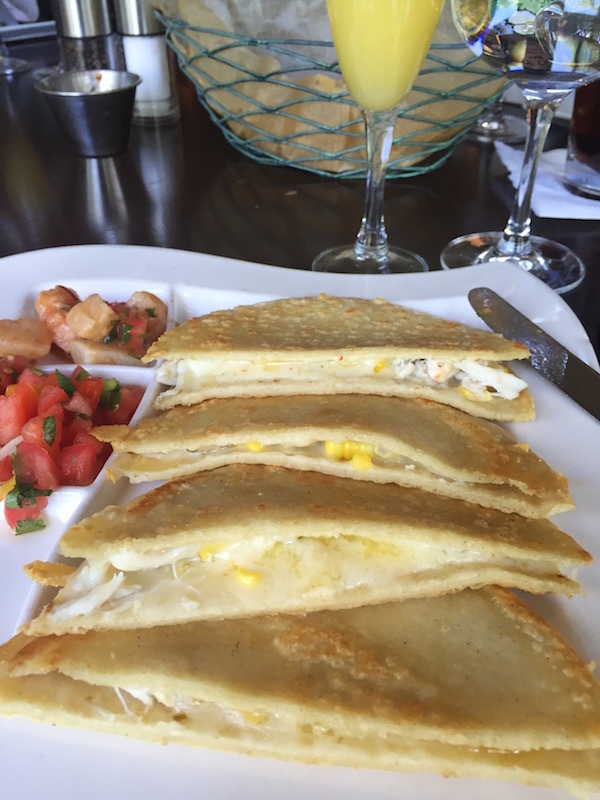 I first heard about Fuego Cocina from a coworker who raved about it being her go-to brunch spot in Clarendon. When she mentioned that it was just $19 for a three course Mexican meal with $2 brunch cocktails, this Brunch Belle may have gotten a tad too exited. 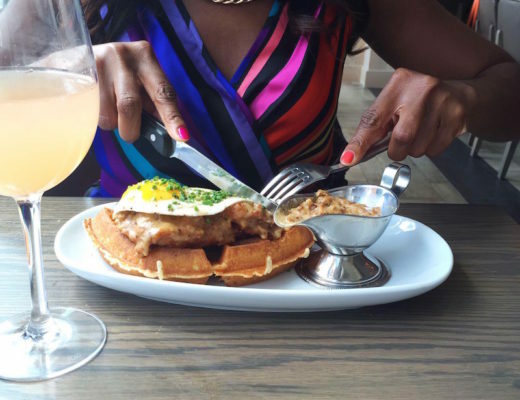 Let’s be honest… this brunching lifestyle can get expensive! 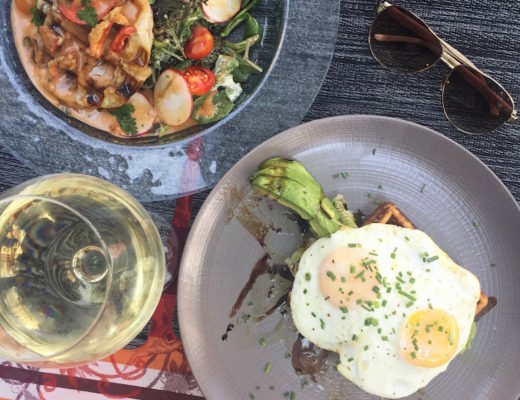 A brunch entrée alone can cost almost $19 at many DC restaurants; and three course or bottomless DC brunches usually run between $29 to $39. So I immediately googled this unbelievable deal. 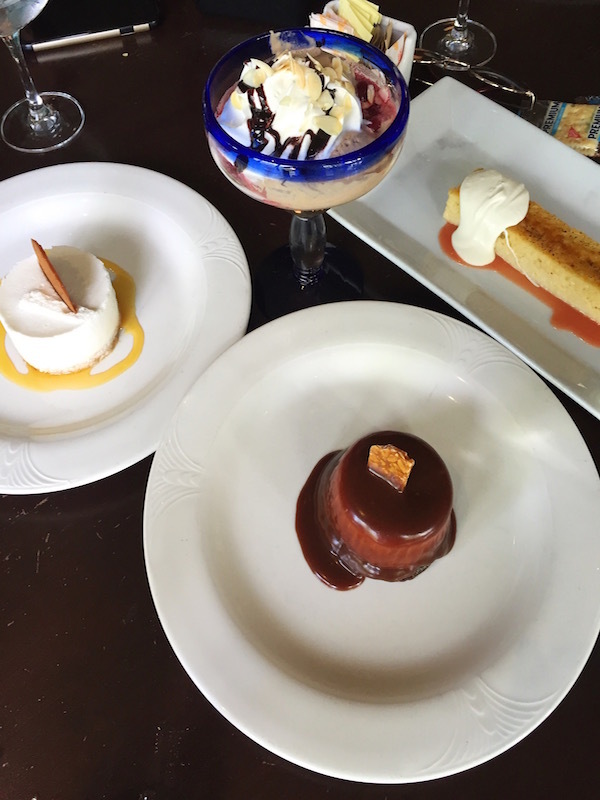 I was so happy to discover that Fuego Cocina is part of the Passion Food Group, which owns a number of popular restaurants in the area, including one of my favorite brunch spots, Acadiana. At this point, I was sold and jotted down “Fuego Cocina” on my ever-growing list of restaurants I’d like to try. A few weeks later, when my childhood friend Tonya was in town, I decided that a Sunday brunch was in order. I rounded up a group of our mutual girlfriends and we ventured to Clarendon to partake in this brunch feast. I love prix fixe options for group brunches because you don’t have to sit around at the end trying to dissect the bill. You know… the not so fun part of group dining! 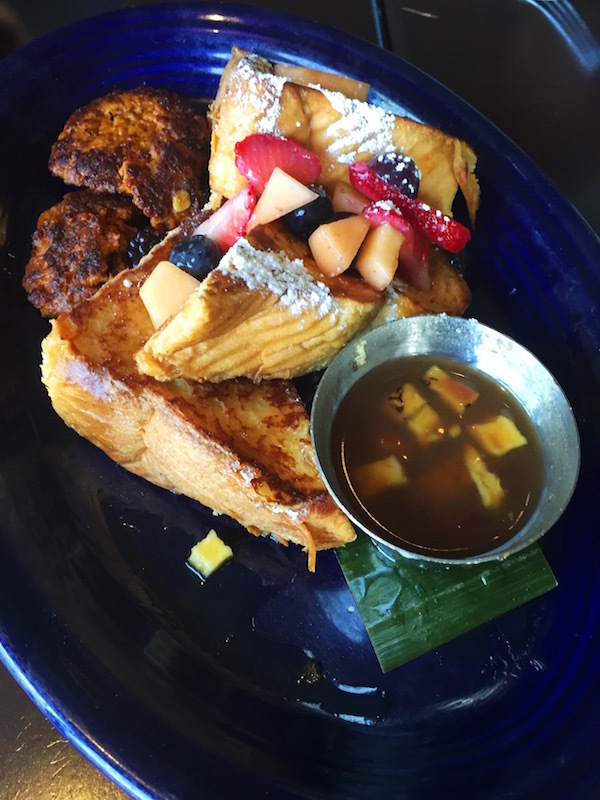 For a prix fixe brunch, Fuego Cocina’s menu is surprisingly very elaborate. The options are endless and may even be a bit overwhelming. There is something for everyone. 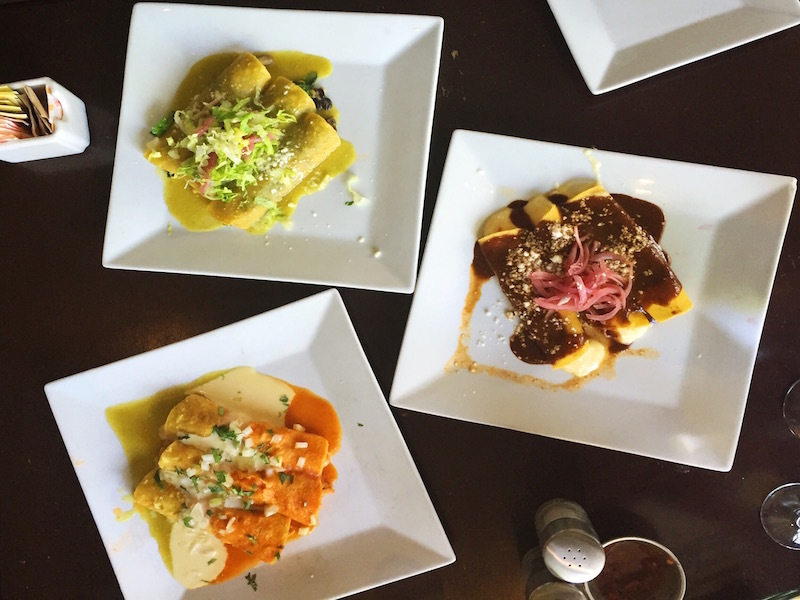 The menu includes a variety of tacos, traditional Mexican and brunch dishes. There’s no bottomless drink option, but you can still get your “boozy brunch” fix as the restaurant offers a number of cocktails and draft beers for only $2. 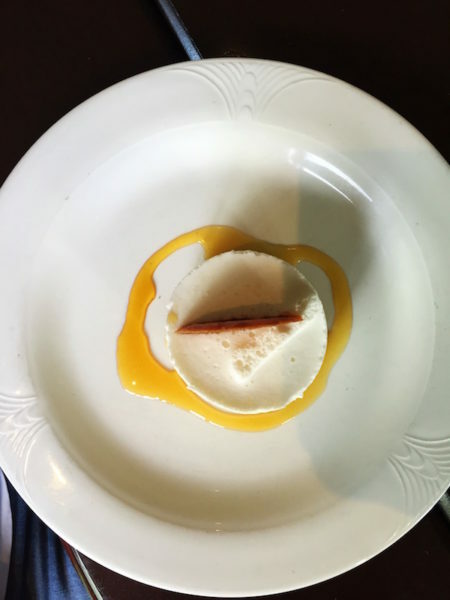 A few of the dishes were pretty average, but there were a number of really great ones. I especially enjoyed the seafood cocktail (coctél de mariscos). 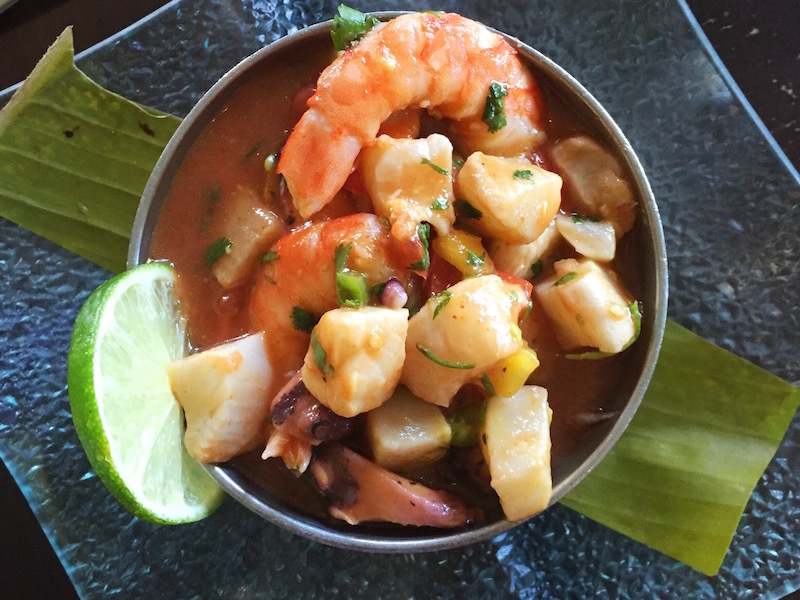 The seafood was fresh, and the mix of the shrimp, octopus, and tilapia with the tomato sauce and avocado was extremely flavorful. To my surprise, I really loved the taste of the vegetable enchiladas. I’m usually a meat kind of girl, but this dish was super delicious. 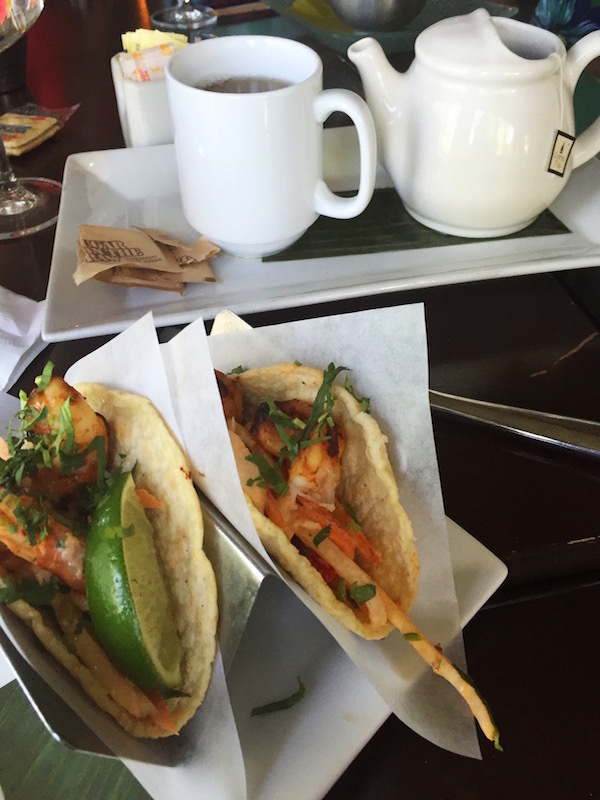 The shrimp tacos and the Latin-style French toast were also a hit at the table. The lime and coconut tart was my favorite of the dessert selection. 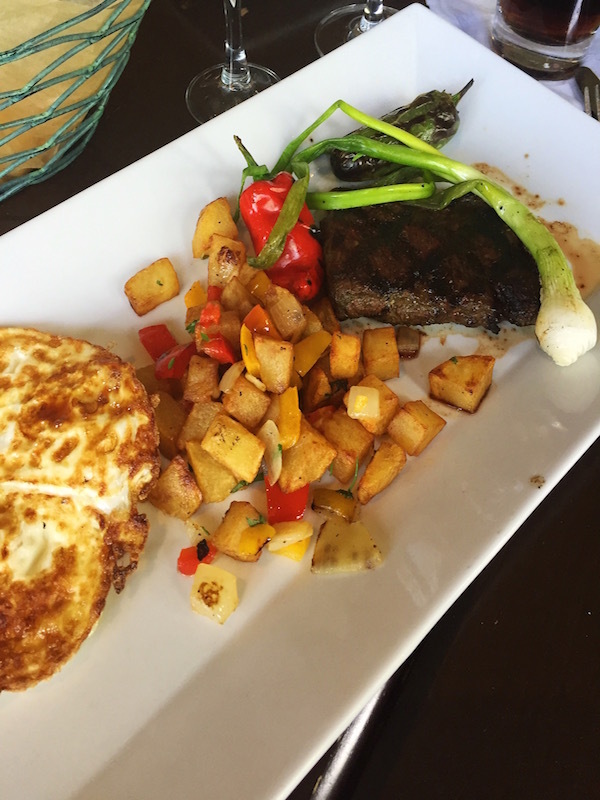 Fuego Cocina’s brunch is an amazing deal. 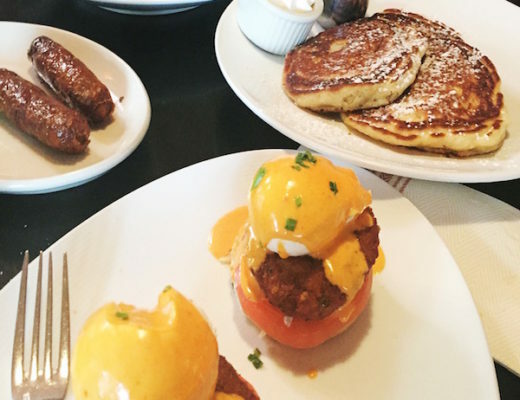 It offers a budget friendly alternative to other bottomless DC brunches. 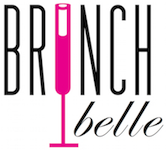 Brunch Belle recommends it if you are looking for an affordable brunch and don’t mind going outside of the city, or if you live in Northern Virginia. Go hungry because their brunch is quite filling; you may just need someone to come and roll you out of there! It’s a B+ for Fuego Cocina. You can find their brunch menu here. I have to agree with everything you said about Fuego. The brunch was amazing and when I am back in the DMV we have to go again. One nice thing I will say about Virginia is that the movie theaters have recliner seats, enabling you to lean back, prop your feet up, and let belly and body rest after a gluttonous brunch. Haha. I know that after brunch feeling all too well!